Why don't you explain what happened? Most dual connection or prolonged unattended connection issues are due to laziness or disregars for rules. For this reason, a hard line is often taken. If you explain what happened to the sup in question then there shouldn't be an issue. I am not overalls technical with hardware, I know basics but that’s me being honest. I absolutely agree with a hard line being taken aswell, though My point is if he believes there should be a warning then why give me a warning before asking my side of the story. Again this was just after I had positive rate rate of climb. My flaps where still at flaps 1..I didn’t leave the similulator. If he has my email address he could have asked me for an explanation. In my view it’s reasonable as there was nothing I could do. I am not for explaining myself anymore. This is the situation. I left this under feedback so SUPs can get feedback on how better to deal with a problem instead of just assuming I left the cockpit. I don’t accept a warning as it was out of my control. it’s not like I got a ban. Though I feel aggrieved not to be able to explain myself, after if he/she didn’t accept my explanation then ok, but it was certain not deliberate like it’s been put across by the vatsim sup. Out of curiosity, how long were you offline for after you had to restart your PC? Regarding replying to Supervisor emails, I get replies to many of mine when I've removed someone from the network for an inactive connection. I always listen to what they have to say and just re-iterate it's not a ban, nor really a warning but a heads up. Hi Trevor thanks for your time. It was literally just after take off my computer froze. I was about to report airborne to hell controller I had literally just read back take off clearance 20 seconds before hand and my whole computer froze. The only way to unlock it was the force closedown of all my apps which where running and restart the pc. When I say force close down I had to ctl +alt+del and click on each one and end task then restarted the pc as anyone would do. How I remained connected I have no idea but I certainly didn’t leave the controller which the sup suggested in which I had an email warning with bright red articles of the code of conduct. From my end my prepar3d was closed along with vpilot. I told the sup at the start to send it to VP but I have since emailed and said I can’t be bothered with the hassle of explaining myself again for something that I had no control over. It’s no fun when you get warnings for something you feel is harsh. During the climb you have to be there to be there to change the MCP until you get to your cruise level. I would like to see my flight path from this. That is not the time as everyone who flies on vatsim knows not to get up and leave the controller. I bet my flight was stuck at 5000ft to follow the SID because that’s what it I was going to initially climb too before the Computer crash. I am not going to have a sup tell me I was away from the controller when that is so far away from what happened. I wasn’t exactly happy or pleased when my PC crashed after all the work that I had just done to set up the flight. For the record I wouldn’t ever disrespect anyone and ruin anyone’s flight intentionally. Re the sup I told him since he didn’t take my version of events into account I would be posting on the forum, this is filed under feedback as I don’t feel he went the right way about it and vatsim asks for feedback and hope to suggest how better to deal with it. This is my 1st issue on vatsim with a sup So didn’t know if it was normal procedure for the sup to not wait to speak to someone 1st before delivering a warning via email. The sups in future should email the user and wait for a reply before deciding on which action to take. If he spoke to me and listened to my side of the story and then decided it still warranted a warning then fair enough, atleast he would have heard what I had to say. To be fair its it’s not a big massive deal but if for eg I decided to be a sup or volunteer on vatsim that is against my name and goes against criteria. Trevor once I restarted the machine I didn’t load prepar3d again or vpilot. I didn’t feel like all the set up again. I restarted the computer and reinstalled hardware then turned pc off again. It was only this morning when I was going through my mails I noticed I had an email. Craig, posting it here won't make any difference though, it needs to be handled in the correct channel which is via the email address above as the VP Supervisors won't see it here. If there's a training need within the Supervisor pool then that can only be done with direct contact with one of the Sup team leaders. If you feel the wording and highlighting in different colours of the email text needs to be addressed (note, individual SUPs can change/format the text to their own preference), then again, this is something that needs to be raised via the correct route so that it can addressed and disseminated appropriately. The overwhelming majority of SUPs are not from the UK and certainly not registered in this forum so they won't see it. Remember that the Supervisor function is a VATSIM.net one, not a VATSIM UK one. My point is Trevor all the sups need to do is email the pilot in question, and simply ask was there any reason why you were unresponsive, if they haven’t got an answer in which they are satisfied then proceed to punish against the code. It Shouldn’t be that in my view they need trained in the matter it should be a basic knowledge of facts. It’s a role of a sup to find out the problem. He didn’t know what my isssue was until after he had already gave me wrap across the knuckles! Speaking as a supervisor Trevor is correct in what he says. We will give a pilot quite a lot of leniency before disconnecting them from the network. We'll send at least 2 messages to the pilot before removing them. Sending an email before we disconnect somebody is not really going to solve the issue, because we don't know if the email has been received, nor do we know if the pilot is going to look at their emails in the period anyway. I also find it difficult to believe that Vpilot was still running while the PC was off. This is for several reasons. Vpilot can only run if it is connected to a flight sim. If the flight sim crashes or is closed then Vpilot will automatically disconnect. Also Vpilot needs an internet connection to run which would also not happen if the PC is off. We can only disconnect somebody who is actively connected to the network. I can only assume you were still connected to the network, with your PC on and your flight sim running. Unfortunately, we do not know the individual circumstances of a pilot. We can only go with the circumstances presented at the time and so we have to treat each pilot the same way. Also as Trevor says, this is not really going to affect your standings within the division or affect you as far as future roles is concerned. People are really bothered about suspensions and not being disconnected for inactivity. I also find it difficult to believe that Vpilot was still running while the PC was off. This is for several reasons. Vpilot can only run if it is connected to a flight sim. If the flight﻿﻿﻿﻿﻿ sim crashes or is closed then Vpilot will automatically dis﻿connect. Also Vpilot needs an internet connection to run which would also not happen if the PC is off. We can only disconnect somebody who is actively ﻿co﻿nn﻿ected to the network. I can only assume you wer﻿e stil﻿l ﻿﻿﻿connected to the network, with your PC on an﻿d your fligh﻿t sim running﻿. For what it's worth, this is the second time that I've seen an almost identical story (FS crashed and PC rebooted but some time later user gets an email informing them they've been kicked for inactivity). So although on the face of it what you say is correct, I'm starting to think that it's not beyond the realm of possibility that in some circumstances the network might not 'time out' inactive connections properly and thus people may appear to be connected when they may in fact not be. I imagine this is going to be very difficult to reproduce or track down but perhaps worthy of some further investigation by the network people at some point and something for supervisors to have in mind as a possibility? At least your headset doesn't kamikaze your plane when you dock it. If you think that it's a network issue, then please do report it on this thread where the appropriate team will be able to look into it. I'll raise it with the code-gods and find out. Will report back. Thanks for this Simon, Can you point me in the direction of the other post? I am glad you have said this, I can also put on my experience of the situation I encountered. I was starting to feel like I was being made to feel like a liar. In fairness I haven't been on the network since and have no intentions of using vatsim anytime soon, anyone who can see my flights will see this constant flow right up until this incident occurred. 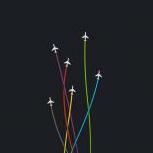 I try and do events to help out other ATC with traffic but as a hobby I enjoy having a flow of ATC en route. I asked the SUP for an apology for just leveling this warning against me when he didn't get my version of of how it unfolded from my side before. SUPS also have to be bound to the code of conduct. If he could dend me an email warning me then he could have asked me 1st, If he felt given what happened still warrented a warning then yes id accept it because he would have heard what I had to say. Nobody is calling anybody a liar and it is definitely not our intention to put anybody off enjoying the network. However, we can only act on the situation which is presented to us at the time. We simply do no have the time to email every single member who is unresponsive and wait for a reply before removing them from the network. This is especially the case if the unresponsive pilot is in busy airspace and getting in the way. We have to treat all members the same regardless of the individual circumstances, as harsh as that is for some people who may have genuine reasons for being away. We have to apply the Code of Conduct consistently to all members which, incidentally, we do abide by ourselves. The process of emailing is the 1st warning but if the member continuously repeats the same offence then we will consider suspending that member. You have done the correct thing by emailing the Supervisor and explained the reasons, whether they wish to apologise is up to them. However, as I said in my original post, this is quite a common offence and unless you do it on multiple occasions, is taken very lightly or not at all when it comes to suitability for roles withing VATSIM. Think outside the box. A difficult situation frequently eh. For clarity -- I absolutely wasn't suggesting this was the case at all or making any criticism of how the Supervisor dealt with what on the face of it was a very straightforward situation -- it's not as though the possibility of an un-timed-out connection is a "known issue" on the network. It was merely that reading Craig's explanation rang a bell -- I remembered reading an almost identical story, I think either on the .net forum or possibly the Facebook group, some time ago. At the time my reaction was "a likely story" -- I'd never heard of anything like that happening previously and like you couldn't imagine how it could possibly be the case -- but having now seen a second, totally independent report I have to now acknowledge that it could be a possibility and thus something worth noting. I will attempt to find the post in question for completeness - I had a look earlier today but couldn't find it on the .net forums so I think it may have been on Facebook, which I fear may be a little like looking for the proverbial needle in the haystack. Craig -- as others have said, I honestly wouldn't let something like this put you off. It seems that you may have done everything right but encountered a technical issue that nobody previously thought possible -- the supervisor would have had no idea and in any event your 'stuck' connection needed to be removed from the network in some way anyway! I wouldn't take it to heart or read too much in to what I gather is a largely automated process. Ironic isn't it? If the supervisor had removed the connection immediately to release the traffic flow from the runway and not communicated with Craig at all, everyone would have been happy! To be clear, having been a SUP for a number of years removals such as these happen primarily to get you out of conflict of other aircraft - not to punish you. It is not possible for a SUP to ask questions first before doing this if you are in busy airspace because the enjoyment of everyone else would then be impacted. Imagine trying to be a controller and having to wait for ages before a 'rogue' connection could be removed, screwing up your flow and delaying everyone behind. It's not a 'punishment', it's to get you out of the way. You clearly don't understand the point or didn't follow the thread. There was nothing that I could have done!! How much more clear do I have to make it? If there is conflict use to me getting up and leaving my computer then I would have 100% understood that or If it was done on purpose or If I had control but this wasn't the case. I am glad that you will see above another member has seen another thread of someone who may have had the same issue. I haven't seen the thread personally. Though if it is out of my control then I don't accept the warning. Its being passed on to the VP and I really cant be bothered when he/she gets in touch explaining myself. 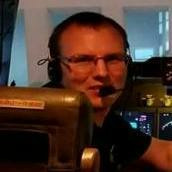 What I was saying about vatsim was if SUPs take the enjoyment out of it by handing out warnings for something I don't accept then I am a liberty to use another platform, yes in my view vatsim is more superior but I am not coming on vatsim to be told by a SUP that this didn't happen when he wasn't in my sim room. That's my choice. Its the principal of the matter for me, which to reiterate there was nothing I couldn't do. plain and simple, How about since you are SUP Gunnar prove against me that what I experienced wasn't the situation? again on your post you are justifying the reasons why he gave me the warning, So if there is nothing I can do it still warrants a warning? if I had have been able to acces Vpilot I would have been able to reply to the SUP to explain but given the situation, I was absolutely under the opinion 100% I was disconnected from the network. I accept that this isn't a situation SUPs face everyday but in my case this Is my version of what happened.